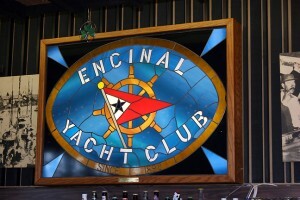 Ahoy cruisers: in case you missed earlier notices, the Annual Encinal YC cruise out date has been changed to June 24-26, 2011; there’s still some space left but it is filling up quickly so sign up soon! If you have problems with the Club website, send your Name, Contact information and Boat details to CAJ245@aol.com; your reservation will be confirmed. Also, the dinner menu will be forthcoming shortly; thank you and we hope to see you there! This entry was posted in Uncategorized and tagged boat, boating, coyote point, coyote point yacht club, coyoy, cruis-out, cruise, Encinal, encinal yacht club, Encinal YC, EYC, sail, sailing, yacht club. Bookmark the permalink.